Comments: Due to their innate gentle disposition and intelligence, Texas Longhorns are increasingly being trained as riding steers. Longhorn cattle have a strong survival instinct and can find food and shelter during times of rough weather. Longhorn calves are very tough and can stand up sooner after birth than other breeds. 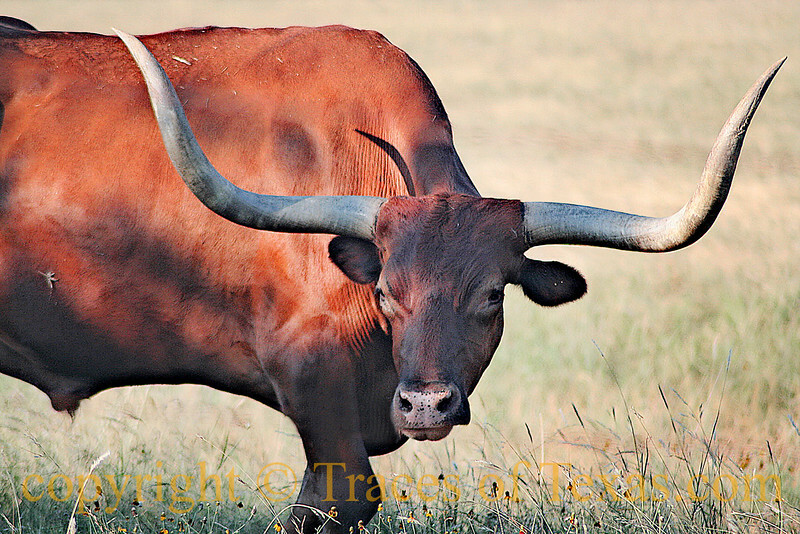 Longhorn cattle can breed for a long time, well into their teens. There have been cows that have bred for up to thirty years. Some ranchers keep Longhorns for their easy calving. A Longhorn cow will often go off on her own to a safe place to have the calf then bring it home. They are also known to hide their calves in safe places to avoid predation, sometimes causing difficulty for ranchers, who may need to work on the animal.